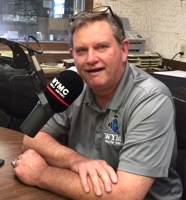 Jim Moore is the owner and general manager of WYMC Radio. Jim was born and raised in Mayfield, graduated from Murray State University with BS Degrees in Journalism and Industrial Arts. Jim started his broadcasting career in 1972 and started to work at WYMC-AM radio before it signed on the air in 1976 as general sales manager. He purchased the station in 1991. He and his wife Shann host the "Breakfast Club Show" Monday-Friday. He has one daughter, Valerie Moore. He is the son of Kenneth and Luverne Moore (deceased). Jim was one of the very first Certified Marketing Consultants in the state of Kentucky as designated by the Radio Advertising Bureau. He also has achieved the ranking of a "Diamond Certified Marketing Consultant" or C.R.M.C. This is a measure of professionalism the Radio Advertising Bureau awards to individuals who have completed the necessary experience and passed required testing as it relates to advertising marketing. "Miss Shann" as she is known to her fan club is married to Jim Moore. She is originally from Hopkins County, Ky. In high school, she was a cheerleader and still acts as a cheerleader on the WYMC Team. She retired after a career with the Kentucky Department of Employment and Training. She enjoys playing guitar,photography,reading, and needle work. Shann has a passion for the written word and for God's Word. She merges the two and has been published several times in different magazines. In addition to being a radio personality, Shann works in the front office as the Trafffic and Billing Director. Kevin Brown is originally from Southern Mc Craken County. He has had a varied career from serving in the military, being a basketball coach, to being a minister for 20 years, and now News/sports director for WYMC RADIO. Kevin and his wife, Cyndi have two sons serving in the military. Cyndi is a teacher at Fulton City School system. They live on a farm near Water Valley, Ky.
Misty has covered all the bases since she began her broadcasting career at WYMC in 2006. She is as comfortable on the air as she is working in the front office. Her specialty is taking on the challenge of new projects. Whether your conversation with her is on the air, on the phone, or face to face Misty's love of broadcasting is overshadowed only by her love of horses. 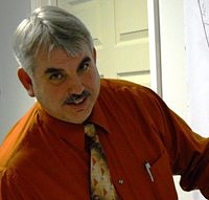 Vince began his broadcasting career in 1987 at WYMC as he transitioned from college life at Murray State University to the life of a radio personality. Besides working on the air, Vince has been broadcasting Mayfield High School sports on and off since 1993. His current duties include the WYMC breakfast club show, afternoons, even part time on the weekends in addition to sports play-by-play. He's a Mayfield High Cardinal Fan from head to toe, proudly wearing his MHS Cardinal Football state championship ring given to him by the MHS Booster Club and coaching staff. 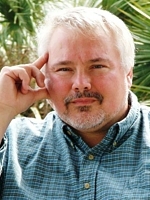 Mark Stephens was born in Mayfield and raised in Western Kentucky. After college, he worked at radio stations in Tennessee and Kansas before returning home to help with the family business in 1989. He is also the minister at two area United Methodist churches. 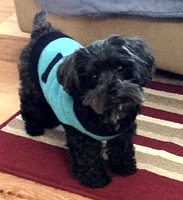 Mark and his wife Cyndi live in Mayfield along with their spoiled canine, Cocoa. His hobbies include woodworking and worship planning.